Staff members of the Thailand Desk of the Asian Human Rights Commission have assembled this note on the threats to the authors of the report featured in this special issue of article 2 on ‘Torture in Thailand’s deep south’ from public media and human rights groups’ sources. The Cross Cultural Foundation (CrCF) is an organization that monitors and documents cases of torture and ill-treatment in Thailand. 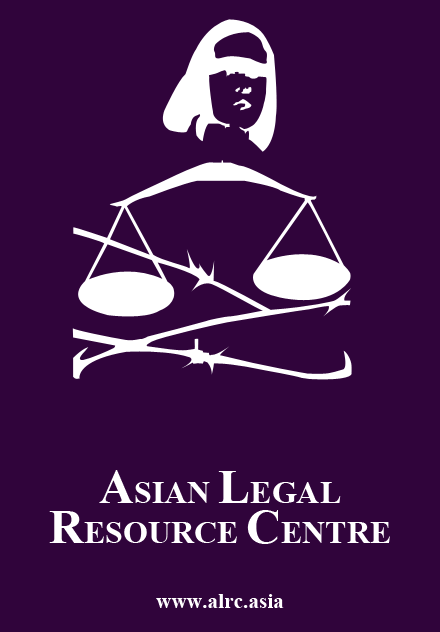 In 2002, The CrCF was officially registered and since then the group has worked closely with its partners, such as the National Human Rights Commission of Thailand, Lawyers Council of Thailand, and Thai Volunteer Services to facilitate legal aid and access to justice for vulnerable groups. 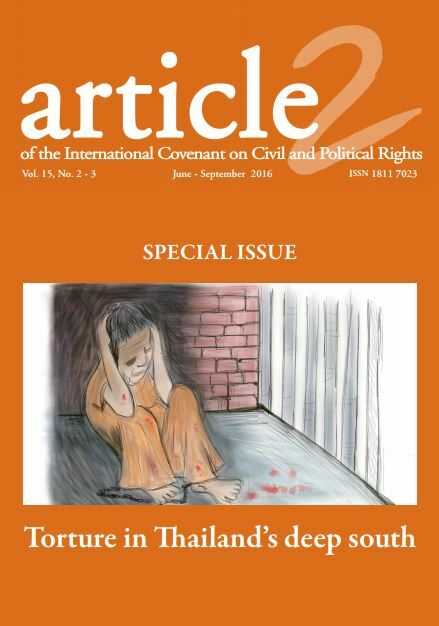 In 2014 and 2015, the CrCF together Duayjai Group, which is based in Thailand’s deep south to support people who suffer injustice at the hands of state officers, and the Pattani Human Rights Organization (HAP) worked together to produce a torture report compiling and analyzing 54 cases of torture and ill treatment in Yala, Pattani and Narathiwat provinces, southernmost Thailand. The report was partly funded by the United Nations Voluntary Fund for Victims of Torture, established under the UN General Assembly resolution 36/151 in 1981. Somchai Homlaor, president of the CrCF, Pornpen Khongkachonkiet, its director, and Anchana Heemmina, director of the Duayjai Group, worked as co-editors of the report. 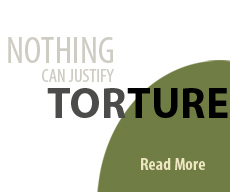 On 10 February 2016, the CrCF and the Duayjai Group launched the report, entitled Torture and Ill Treatment in the Deep South Documented in 2014-2015. The army responded not by considering the allegations and indicating that it might act upon them, but on the contrary, by threatening all three editors and the human rights groups who supported them in the documentation. As noted by the Asian Human Rights Commission in a statement (AHRC-STM-019-2016) one day after the release of the report, Major General Banpot Poonpien, the spokesperson for Thailand’s Internal Security Operations Command (ISOC), promptly accused the human rights groups of fabricating accounts of torture to obtain funding from abroad. He also asked whether or not the groups had the mandate to investigate the work of state officers. Incredibly, the officer ended his statement with a threat that they could be committing defamation by issuing a report referring to international human rights law: “Why [are the report’s authors] invoking just the international laws while forsaking the methods of inquiry provided for by domestic law, since such an act could possibly amount to a defamatory offence,” he said. On February 14, Colonel Suratep, head of the Civil Society Organisations unit in ISOC, contacted Anchana and other activists who were involved in compiling the report and summoned them for a discussion. Anchana presented herself at Sirinthon Army Camp in Yala Province for the discussion with seven security officers. The meeting lasted two and a half hours, during which the officers questioned her about the cases in the torture report. The officers expressed their discontent with the report and requested the human rights defender to henceforth submit all of her publications to the ISOC prior to their release. She refused to do so. On 8 June 2016, Pornpen Khongkachonkiet got information through a phone conversation with ISOC Region 4 that it had already sought power of attorney from the army and had submitted a complaint to Pattani Town Police Station on 17 May 2016 for criminal defamation under section 328 of the Thai Criminal Code, and violation of the Computer Crimes Act B.E.2550 (2007), section 14(1). Authorities have already interrogated six witnesses and the police case file number is 704/2559. Defending the decision to prosecute, the Thai military said that this was its way of acting to defend the honour of the country. Colonel Pramote Promin, a spokesperson for ISOC Region 4 rebuked human rights groups abroad that criticized the decision—groups like Human Rights Watch, Amnesty International, Frontline Defenders, and Lawyers’ Rights Watch Canada (see letter concerning the case appended to this article)—alleging that the three domestic groups had intentionally distorted facts to cast the military in bad light. In an even more sinister development, he indicated that the army had succeeded in identifying, on the basis of the de-identified information in the report, 18 of the cases in the report, but that in none of the cases was there any evidence of torture. He imputed that the other cases were fabrications. This is not the first instance that the army has attempted to sue the three human rights defenders. In September 2014 Somchai Homlaor and Pornpen Khongkachonkiet, as well as their organization, faced criminal defamation and computer-related crimes charges filed by Task Force Unit 41. 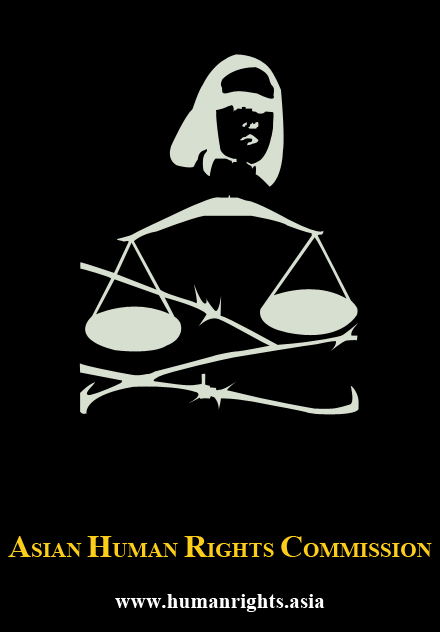 The case was eventually dropped by the decision of the public prosecutor in June 2015, following an international campaign denouncing the harassment and intimidation of these human right defenders for their legitimate and crucial human rights work. From 13 to 15 June 2016, Somchai, Pornpen and Anchana received summons to present themselves to the police on 26 June 2016, but they all they postponed the meeting to 26 July 2016 because their lawyer had not had sufficient time to examine the case file. All three have affirmed that whether they are charged or not, the CrCF and Duayjai will continue to monitor and document cases of torture and ill treatment in Thailand. This entry was posted in Thailand, Volume 15 Number 2. Bookmark the permalink.